No matter your style the Monkette Gold offers outstanding grip and control in even the gnarliest conditions, enhancing your style and making kiteboarding easier, more natural and more fun than ever. Featuring the latest revolutionary constant curve rocker technology, the Shinn Monkette Gold is packed-full with women’s specific properties. Complete with a top secret flex pattern ensures grip and power, yet brings superb control and easy turning capabilities into the game. 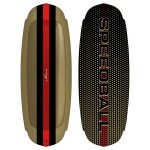 Designed to offer high performance in a silky smooth package this is the perfect board for both playful and demanding ladies alike. Outstanding grip, effortless chop handling and superb, easy to access POP work together to make all your moves easier – big air or freestyle, you choose. 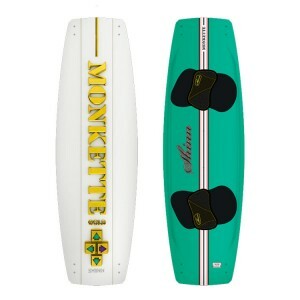 Un-ashamedly sharing the Monk’s fine DNA the Monkette Gold is a fine blend of constant curve rocker, SQ3 mould shaping and progressive concave, definitely the most relevant board for women available today, make sure to claim this fine treat for yourself. 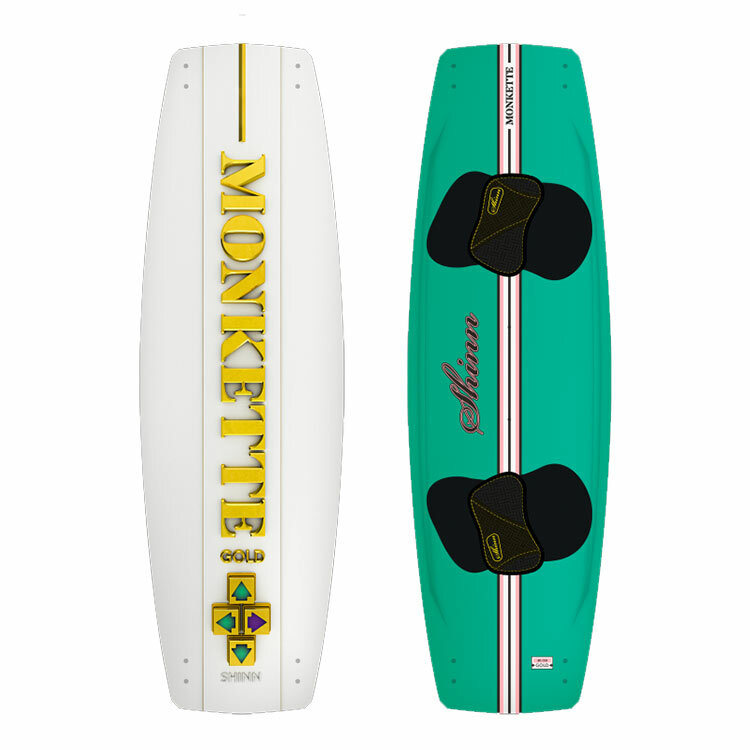 Created to perform for a less aggressive, smaller rider using a less powerful kite for any given wind conditionsm, the Monkette Gold is equally at home in flat water or chop and is guaranteed to improve the pleasure of riding for girls no matter their style or ability level. Ladies, stand up for yourself and demand a board just for you. 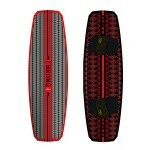 Footbed and Straps: The connection between rider and board can make or break the quality of your ride. Of course they should look slick but only after the function is perfect. 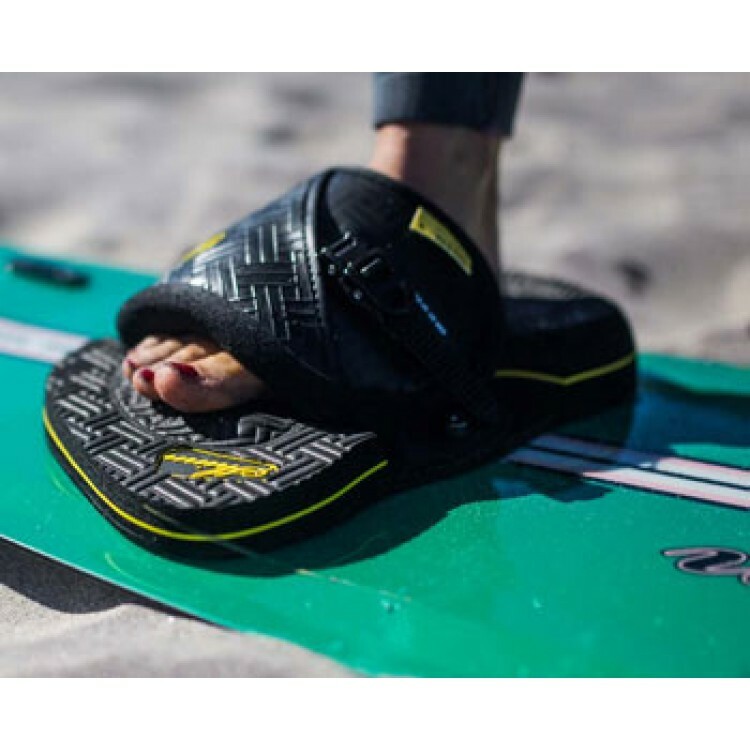 Shinn Kiteboarding's deep section EVA cushioning ensures luxurious comfort even during the harshest landings, whilst a carefully placed section of memory foam adjusts the surface to the shape of your feet after only a couple of hours riding. Multi-position fixation points allow you to fine tune your stance to perfection. The Shinn footstrap has been shaped to provide maximum grip on your foot with minimal pressure points and complete ease of adjustability. 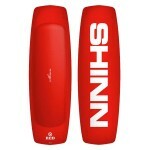 Fins: All Shinn twin tips are supplied with high visibility nylon fins and deck protection plates. Shaped exclusively for us from nylon (for unsurpassed durability), this shape provides exceptional grip for it's size whilst still offering great manoeuvrability. Core Construction: What's inside your board will make a huge difference to how it performs. There is a lot of talk about flex but the mount of flex is just the tip of the iceberg, what"s more important is where the board flex"s and how fast it responds after that flex. Each Shinn twin tip has a carefully engineered core that optimises these characteristics and enhances them for the target rider. Core materials, glass layup and mould shaping are all factors that help us in this area but the heart of every Shinn twin tip is comprised 'mostly' of an Alabasia wood core. No other core material offers the same blend of consistent flex over extended periods of time, feather light weight and near indestructible durability (not to mention environmental friendliness). Squoval Mould Shaping: The Squoval mould accurately controls the flex through the tail and the balanced outline provides grip whilst allowing for high speed turns but all new is the adaption of the exaggerated constant curve rocker first seen on the Monk and a revised global flex pattern that cushions your ride without sacrificing performance. 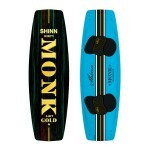 The Shinn Monkette Gold uses a variation on a constant curve rocker through out it's length. 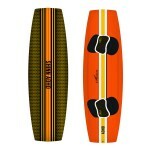 Some years ago this rocker would have been considered to be slow to plane and poor upwind but advances in flex control, concave hull shapes and of course kites now mean it can be used to provide un-paralleled control, limitless grip and completely spray free riding in all conditions. 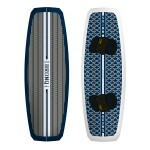 The 3D shaping of the deck moulds on all Shinn boards is a blend of functionality and form. 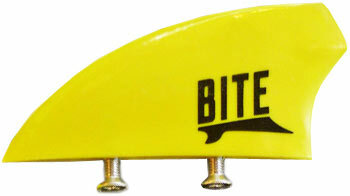 The entire tail section of the board is allowed to flex in a pre-determined manner ensuring constant contact with the water and shock absorption for the rider even in the choppiest conditions whilst the central ridges reduce the torsional flex providing a surprising amount of POP for a free-ride board. 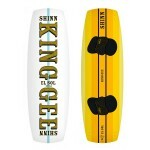 Constant Curve Rocker and Outline: Some years ago this rocker would have been considered to be slow to plane and poor upwind but advances in flex control, concave hull shapes and of course kites now mean it can be used to provide un-paralleled control, limitless grip and completely spray free riding in all conditions. 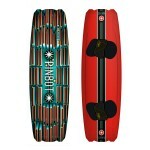 The outline of your board works in conjunction with the rocker to define the way it will perform. 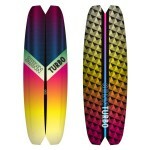 In freestyle - this outline style features more curve radius between the feet leading into straighter, larger diameter curves in the tip and tail. On the water this translates into strong edge grip, aggressive POP and fast turning when applying pressure equally through both feet. 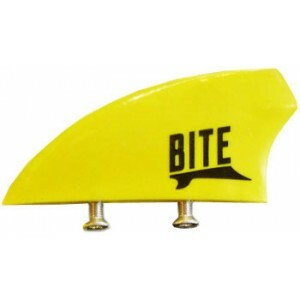 Shinn Bite Fins: Grippy and ideal for carving without being too difficult to break traction for stance changes. Made from moulded Nylon in a yellow colour way, they are light and tough, Each fin is supplied with bolts and Shinn fin washer.